Finding the right apartment for you and your family can be tricky, and finding the right area in Tokyo can add an extra layer of complexity. What constitutes a “perfect apartment” varies greatly by person, but with a little research and a clear understanding of what you need and want in your next home, the apartment hunting process is painless – and even fun! Where you live affects your lifestyle. What do you do for socialization? Do you want to live in a vibrant part of downtown Tokyo or in a quieter area with lots of parks? If you can, walk through the prospective area to get a feel for the atmosphere. The best areas will feel safe and have parks, grocery stores, and family-friendly entertainment. The train and bus lines form an intricate web across Tokyo. Look at the likely commutes for members of your family; does your workplace or your children’s school sit off a particular bus or train line? If so, focus on neighborhoods along that line or nearby bus stops. In the end, both forms of transportation are easy-to-use and safe for the entire family. Do members of your family speak Japanese, or is communication something you are worried about? If you have an ongoing health concern or just feel more comfortable living near a doctor, it’s a good idea to research health services ahead of time. Although English speaking doctors exist all across Tokyo, they are mainly centered in Minato. Locations near rivers and the seaside are susceptible to flooding, and apartments near or on large hills can be affected in a landslide. Although these concerns do not apply to most property listings, and every family’s risk tolerance is different, you should always feel free to ask for more information about the land, or the building’s structural integrity. 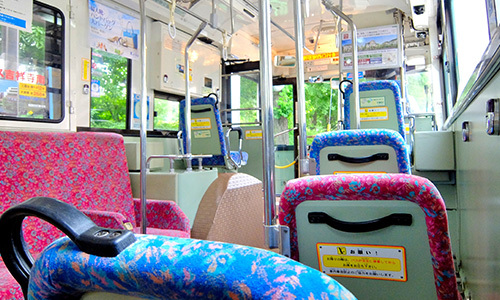 Japanese buses are a safe and convenient mode of transport. How many rooms are you looking for? Is the size of the kitchen and living room important? Every family dynamic is different, and it’s up to you to decide what you want or need in your new living space. That said, it’s also important to have realistic expectations of Japanese home layouts. For more information, take a look at our Japanese Apartment Size Guide. Some apartment buildings have an extra layer of security, requiring a key, card, or access code to enter the lobby. If your children come home from school on their own, this might be a priority. One of the many reasons we recommend visiting your dream apartment in person is to check important details such as the lighting, thickness of the walls, and the general flow of the apartment. Pictures alone cannot tell you if the building across the street blocks sunlight after 10am, or if you can hear your neighbors talking from the bedroom. Some people love tatami mat flooring, whereas others hate it. Tatami mats are a traditional style of Japanese flooring, crafted from dried rush grass wrapped around and sewn to a core. There are a number of pros and cons to having tatami mats, mainly that they can be difficult to care for and have a strong, unique smell. Built-in storage is beyond just a convenient place to store your possessions in a city famous for small, minimalist apartments. In the event of an earthquake, built-in storage is much safer than large wardrobes and bookcases which can tip over and damage the flooring, or injure one of your family members. 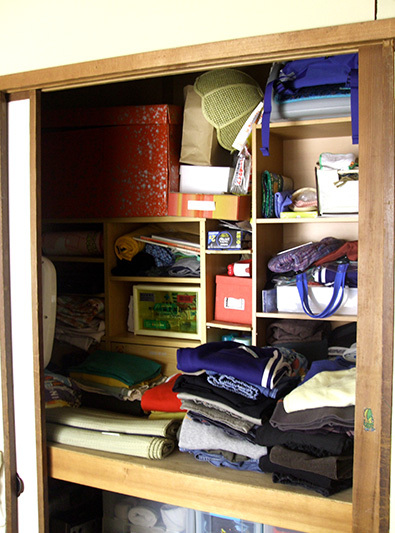 Japanese cupboards (made to store futons) are a generous 90cm (35in) deep! Will you have a car and, if so, are you only looking at apartments with parking spots? If no on-site parking is available, you may have to rent a parking spot at a different location or house your car in a coin parking lot. Similarly, if you plan on having a bicycle, check to see if bike parking is available and if there are any extra charges. Make sure to check your contract to see who is liable for damages or equipment repair. You may be able to negotiate the terms, along with the upfront costs. Click here to read more articles about moving to Tokyo as a family. Or, if you’re ready to start your search, contact us with your criteria and we’ll search our database for properties that match the needs and lifestyle of your family.